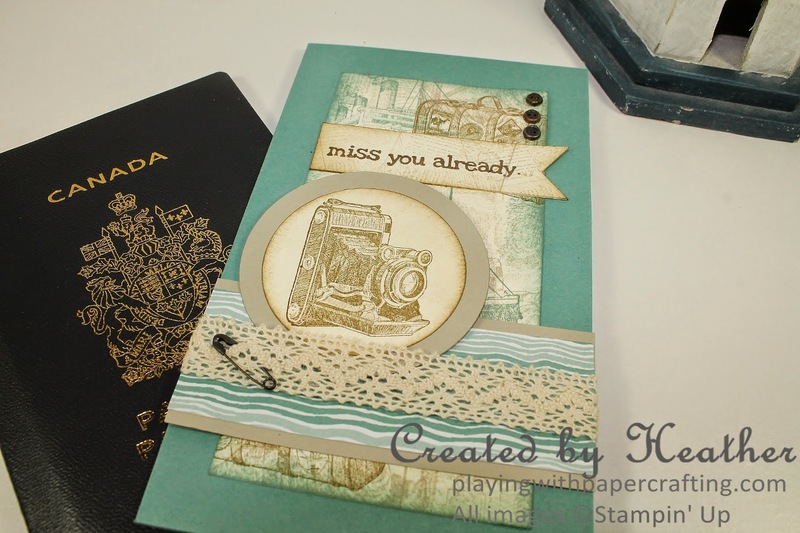 For Mojo Monday Challenge #347, I was inspired by the new Traveler Stamp Set to create a Bon Voyage card. I can remember being jealous of a friend of mine, back when we were young teens, because her family was taking her to England for a vacation. 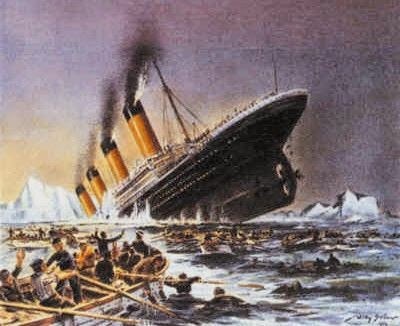 That was great, because we were both fans of British mystery novels, but what I was most jealous of was that she was going by sea, and the voyage would take the better part of a week or two, at that time. I could picture her on the deck of the ocean liner, meeting with a variety of handsome fellow travellers or sailors and the whole idea seemed so romantic to me. It's a tall and skinny design so the finished card size is 3 1/2" X 6". Are you ready for the reveal? I used the Traveler Stamp Set which is new in the 2014-15 Annual Catalogue, soon to be available for you to order come June 2! It has a vintage flavour to it and so that is how I played it. 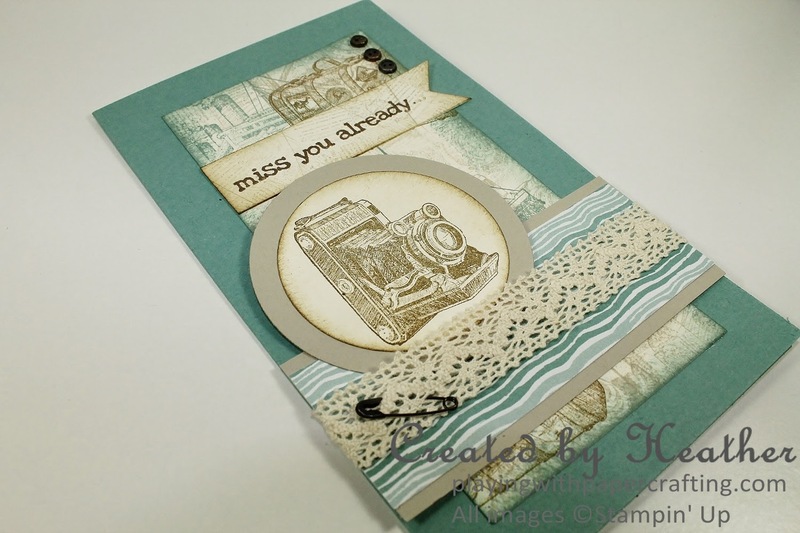 I created a collage stamped background with many of the images from that set, as well as the camera as the focal point. The colours I used were the new Lost Lagoon, Soft Suede, Sahara Sand and Very Vanilla. They create a soft vintage palette. 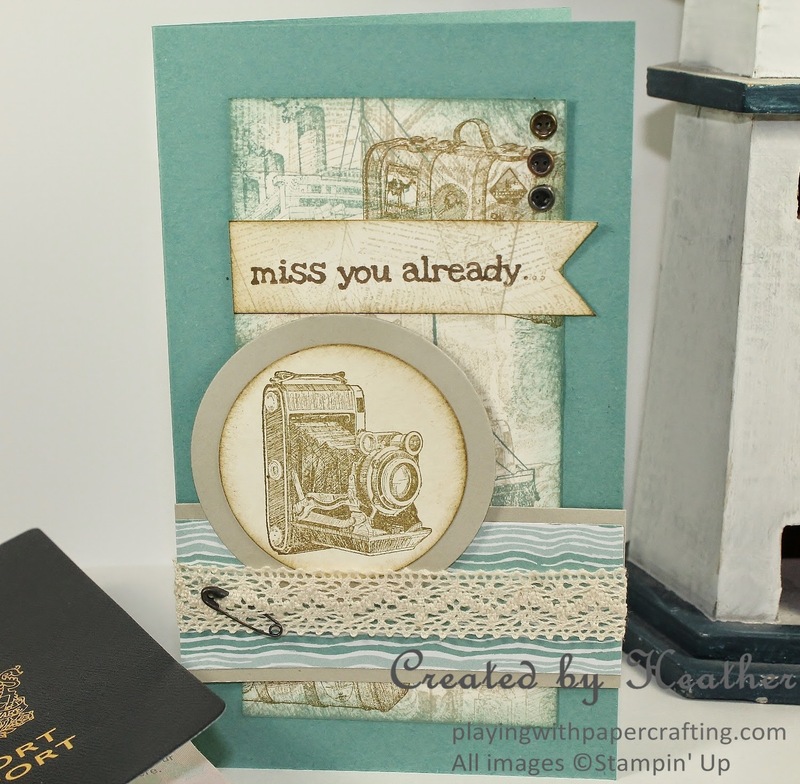 The strip of DSP is from the Moonlight Designer Series Paper Stack, from the new Annual Catalogue and it makes me think of waves so that's appropriate for a Bon Voyage card. It's been a while since I have used the Vintage Trinkets - little safety pins and button-like brads in antique metal finishes- and I'm going to miss them because they are retiring. If you like these you'd better order them soon, before they're gone for good. Another retiree is the Victoria Crochet trim, and I would be extra sad about that, except that we have a different crochet trim in the new Annual Catalogue. Too bad the Victoria Crochet Trim is already sold out. Hope you weren't still wanting it. The sentiment is from Just Sayin' Stamp set, which is in the Occasions Catalogue and will be also featured in the new Annual Catalogue. I inked it up with a Soft Suede Stampin' Write Marker so I could just use the words and not the word bubble. 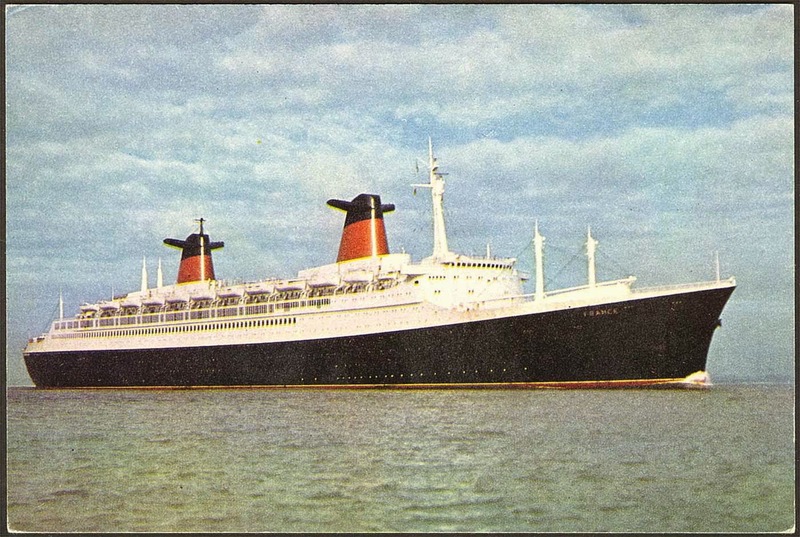 Thanks for dropping by and leave me a comment about any voyages you have been on. Have any of you who are prone to motion sickness gone on a cruise? How did you do? Should I try it someday? ***Retiring product, now sold out.